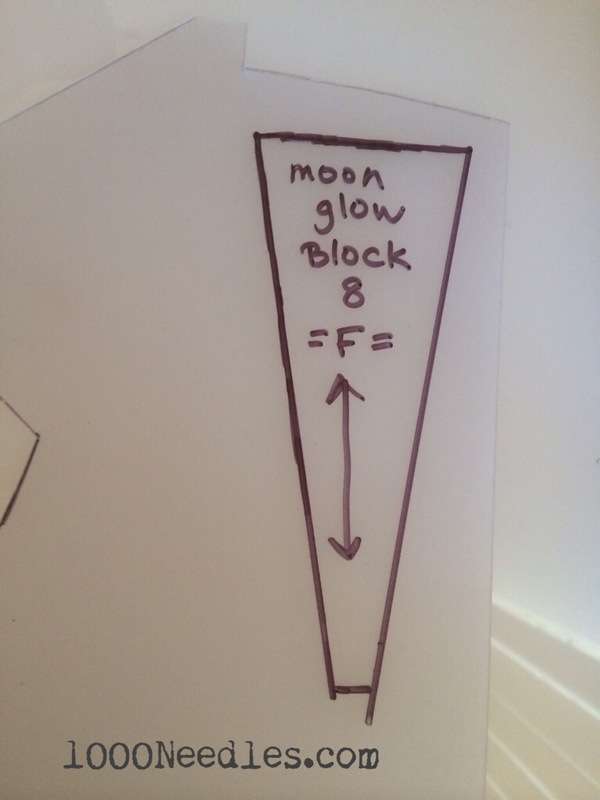 My goal is to get Moon Glow caught up this weekend. After this one I’ve got 1 left to do. I haven’t looked at it yet so depending on how complex it looks I may jump on it after this post or do something different and possibly get back to it tomorrow. I’m really happy with how things are going. It does save time to get these done at once rather than move to something else and come back to this in a few weeks. The Bernina is already set up with the black thread (not that it takes too long to switch, but is one less step to do). I’ve already got the process in my head so I do not have to think about what step comes next. All in all, it was a quick turn around to get this block done. Now, the process I detailed during Block 7 basically matched up until about this point… This is where all the foundation piecing was complete and I had to finish it with some other method. 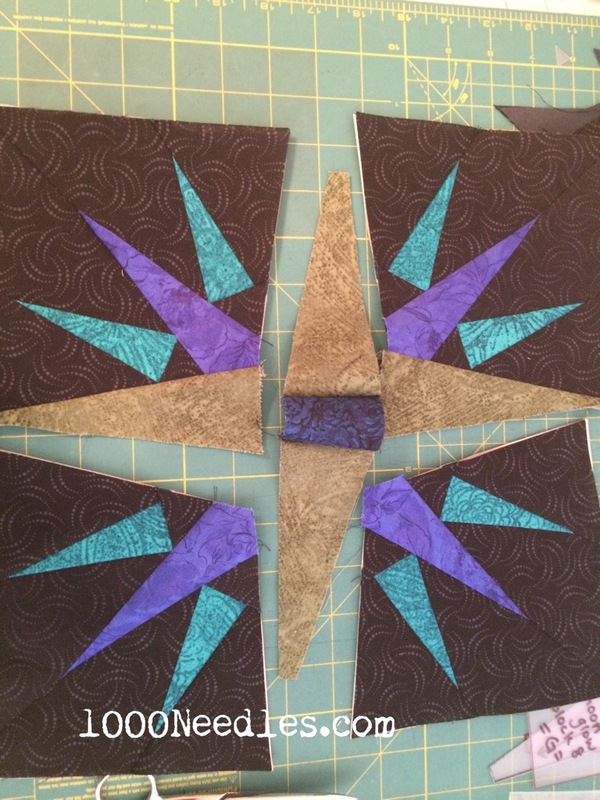 The pattern had instructions to do the center star first. From previous blocks, I opted not to do this. 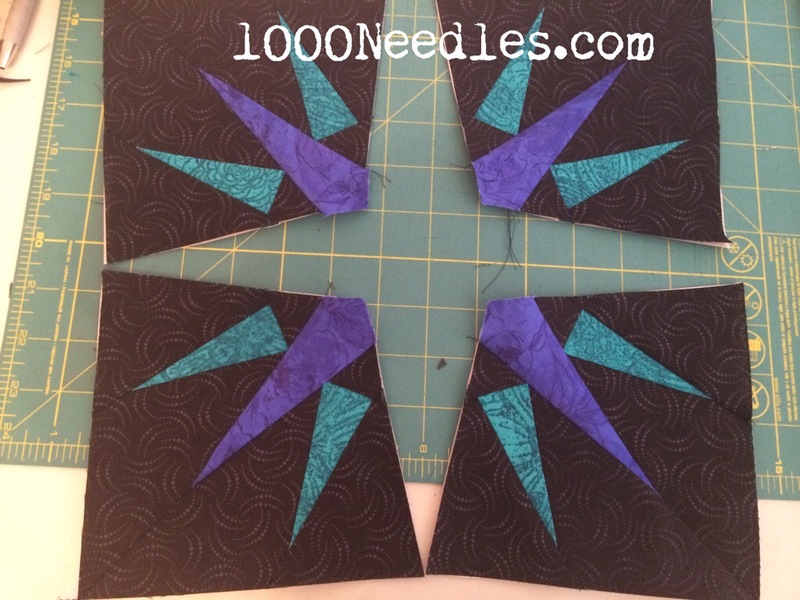 Doing the center star first caused me to have to do Y-Seams and resulted in major puckering in the middle. I’m not as proficient doing Y-Seams so I opted to do something different. First, I opted to create plastic templates for the individual pieces. 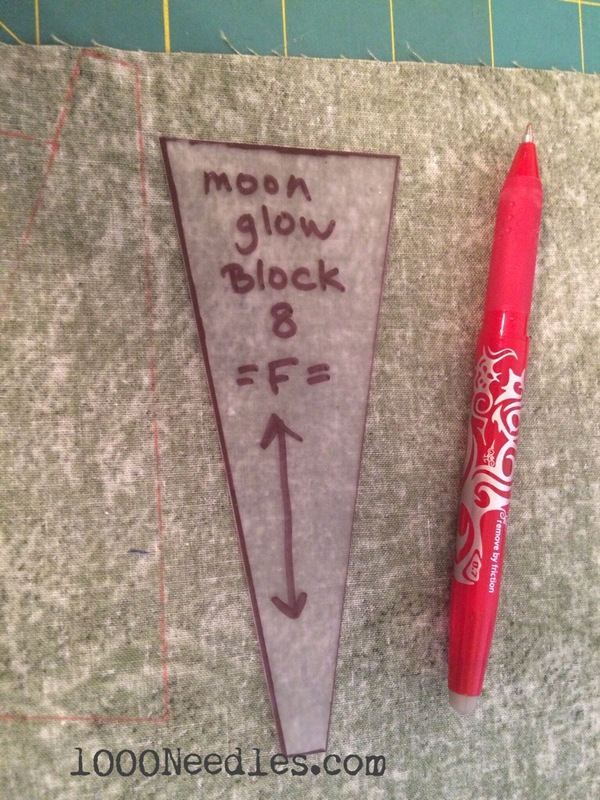 I had a big piece of plastic for templates that I purchased from Joann’s awhile ago that I would normally have used. But in getting my template paper out earlier I found some smaller pieces of plastic that I thought I should use up before cutting into the larger plastic piece. This smaller piece was purchased at a LQS a couple of years ago and I was amazed at the difference between the larger piece and the smaller piece. It reminded me of why I should purchase items at my LQS – the quality was that much better. The smaller piece was thicker and sturdier than the larger piece. It reminded me of when I first learned how to quilt traditionally. I know it sounds cumbersome, but I basically created each plastic template, traced and cut the fabric by hand, and then pieced everything by hand. 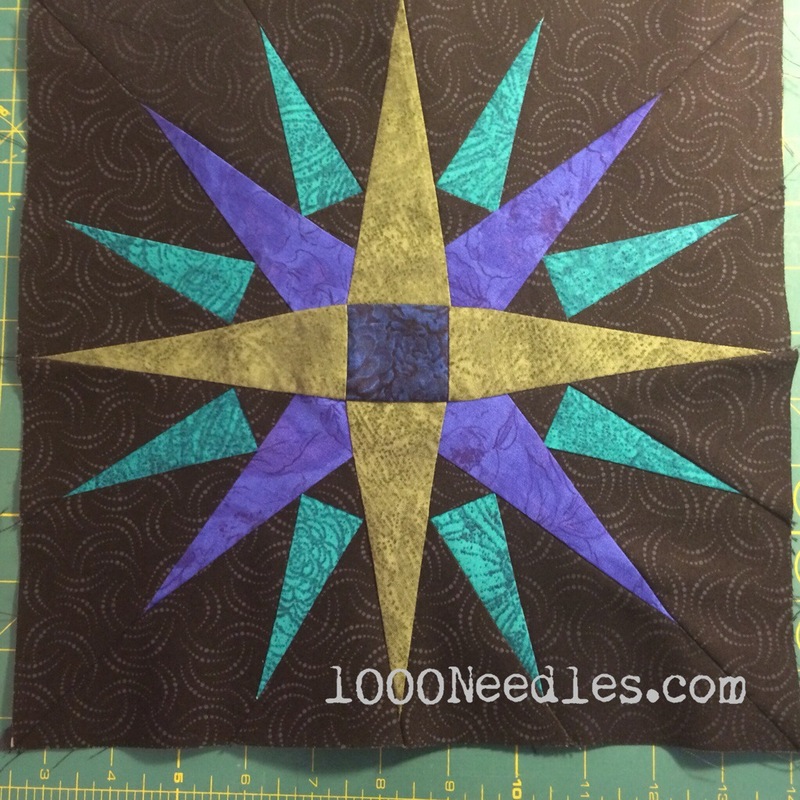 You can see the end result at My Hand Quilt. 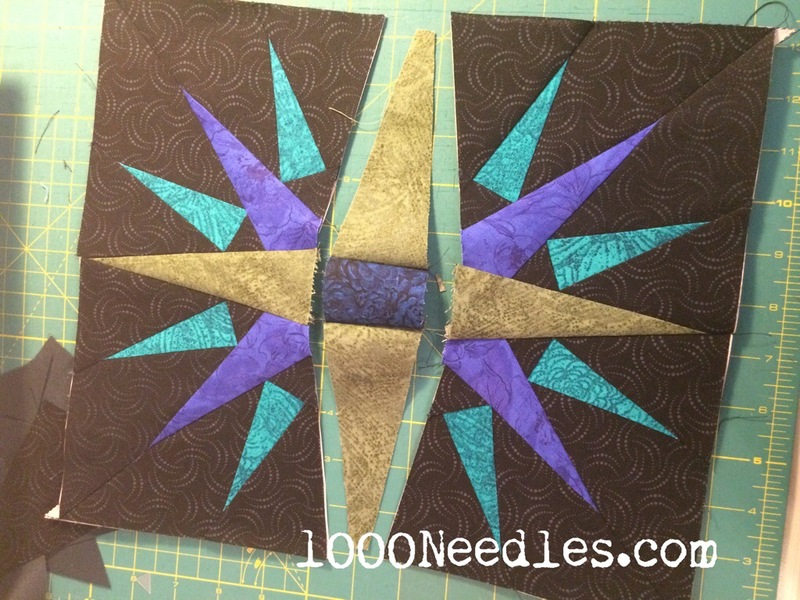 I enjoyed the process of piecing the hand quilt. And I enjoyed this process despite having to create all the templates by hand. I can really see the benefit of doing this for ONE block. First, I put the pattern on a light box and placed my plastic piece on it. I traced the pattern onto the plastic. In this case, all the lines were straight so I used a ruler to keep everything straight. I used a regular sharpie so the lines are thick. If I wanted to be more accurate, I would have used a fine point sharpie. Today, it seems, I wasn’t in the mood to look for my fine point sharpie. 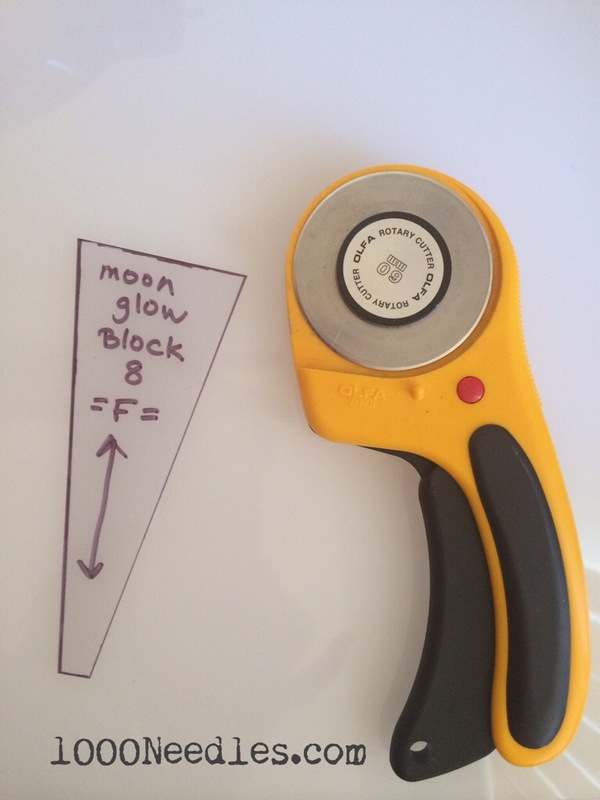 Then, I cut the plastic with my ruler and my rotary blade. 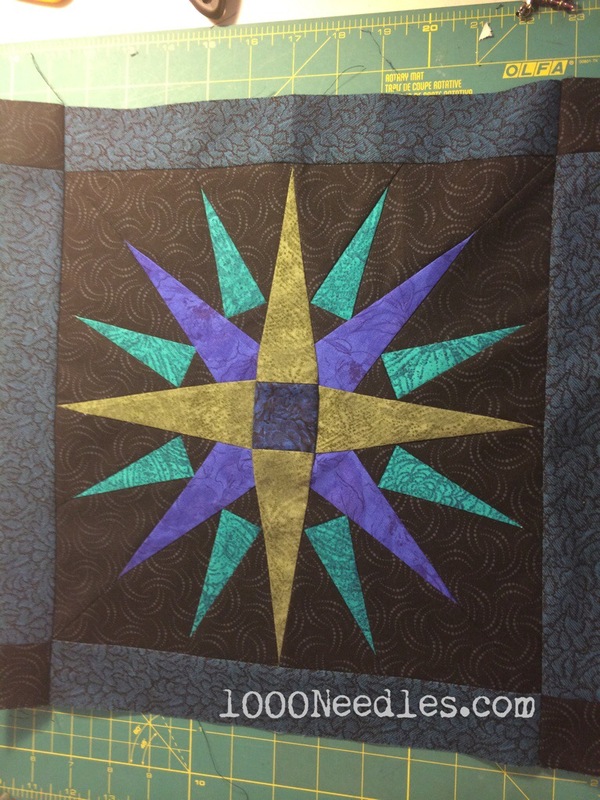 When I’m in the mood, I try to right the quilt name, the block #, and the piece letter or number on the plastic template. I don’t know if I’ll ever create this block again, but if I do – it’s nice to know I don’t have to create the template again. I cut and pieced everything together. TaDa! – Hardly any puckers!